Hello there! 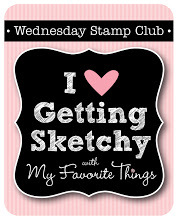 It's Wednesday, which means it's time for another fabulous MFT Wednesday Stamp Club sketch! 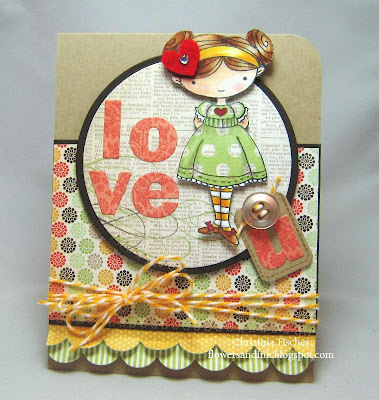 I am having so much fun playing along with the MFT Team as guest designer! 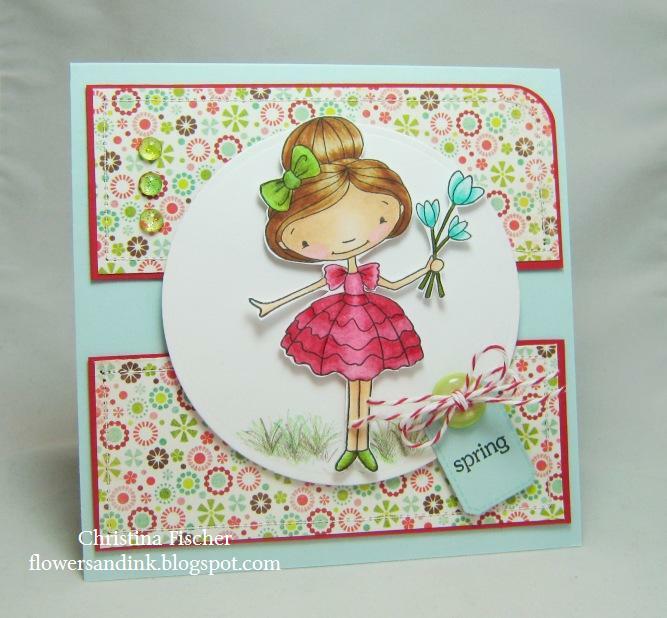 This week I'm wishing for spring with this sweet Doodle Garden Springtime Wishes image and some sweet papers (from Lime Twist Life of the Party 6x6 pad by My Mind's Eye). I stamped the image in Memento Tuxedo Black ink and colored with Copic markers. I cut her out and popped her up on the circle, then I added some grass with my pencils. I stamped some Sno Cone stitching on the Notched Tag before stamping the sentiment. I embellished with machine stitching and a trio of dew drops. Here's this week's sketch, so you can play along too! You can get this week's WSC details on the MFT Forum at Splitcoaststampers. 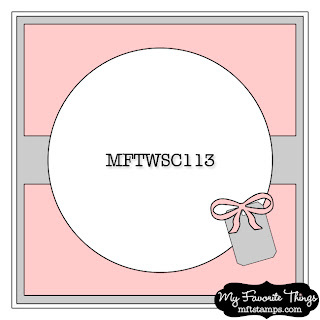 Upload your card to the SCS Gallery using keyword MFTWSC113 for your chance to win up to a $20 voucher to the MFT Boutique! 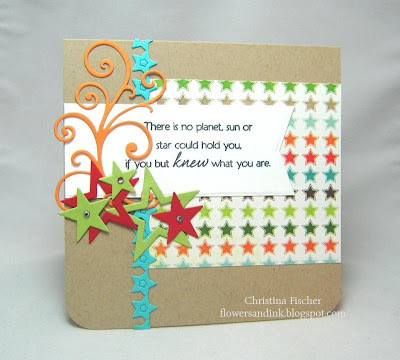 Be sure to stop by the MFT Blog to get some sketchy inspiration from the MFT Designers! I hope you're having a great day! Thanks so much for stopping by! 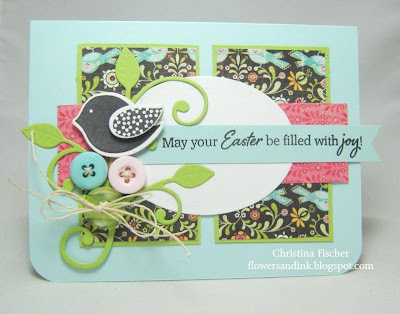 For the main image I used the Just My Type Stamp Set and Die-namics Die. I distressed the papers (from Lost and Found Two: Breeze 6x6 pad by My Mind's Eye) and tore away some of the Notebook Edge. I love that it is actually perforated! :) I sponged the edges with Walnut Distress Ink and added just a bit of machine stitching. Here's this week's sketch! We hope you will play along! 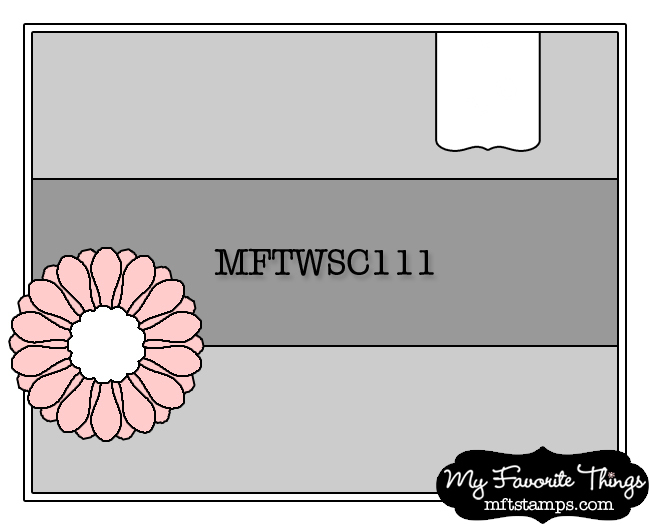 You can get all the Wednesday Stamp Club details on the MFT Forum at Splitcoaststampers. Upload your card to the SCS Gallery using keyword MFTWSC112 for a chance to win up to a $20 voucher to the MFT Boutique! And be sure to stop by the MFT Blog to see which Designers got sketchy this week! That's all for now! Thanks for taking the time to stop by today! Happy Wednesday, everyone! 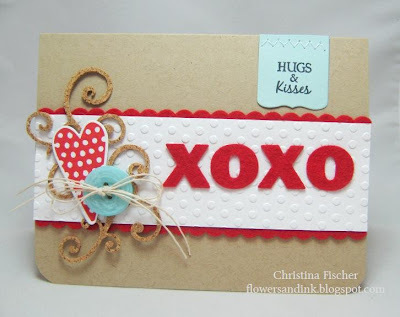 Today I have a card for this week's MFT Wednesday Stamp Club. It's my first time playing along with the MFT Team as the Guest Designer! Woot! :) I kept the design clean and simple, but I gave the card lots of texture with embossing, felt, and cork. The heart and sentiment are from LJD Homespun Hearts. I used Wild Cherry Felt with Die-namics By the Letters and Small Scallop Border, and the Fancy Flourish was cut from cork. I embellished with a Sno Cone Button tied with Hemp Cord. Wanna play along with the sketch? Here it is! 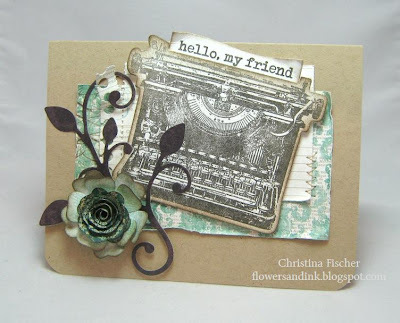 All the details can be found on the MFT Forum at Splitcoaststampers. 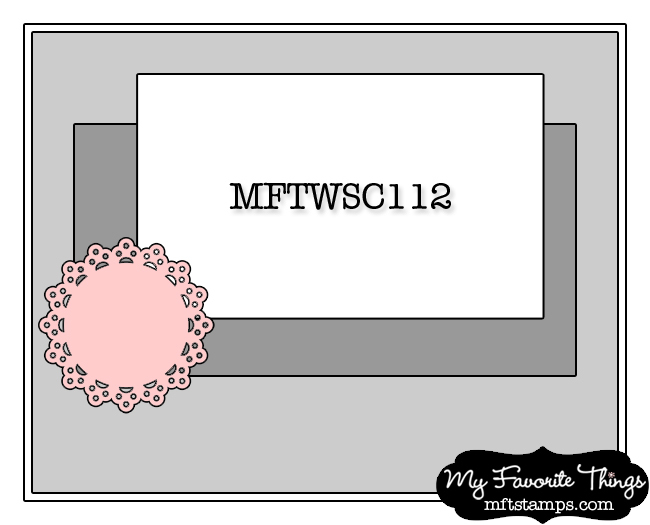 Upload your card to the SCS gallery using the keyword MFTWSC111 to have a chance to win up to a $20 voucher to the MFT Boutique! Yesterday I received my new goodies from Monday's MFT release (shipping is SO fast! ), so of course I had to get busy right away. I made a card for this week's MFT WSC Sketch, which you can find right HERE. Since I have a ridiculous number of 6x6 paper pads which haven't seen much action lately, I dusted off some BasicGrey Urban Prairie paper and paired it with Sno Cone and Sour Apple cardstock. The bird and sentiment, from the new LJD Embellished Eggs, are stamped in Black Licorice Premium Dye Ink. I cut out the bird and wing with Die-namics LJD Easter Elements and popped them over the Leaf-Filled Flourish. I finished with a trio of buttons tied with hemp cord. That's all for now! We have a pretty relaxing weekend ahead, which is a very welcome change. I hope you have a great weekend planned for yourself, too! Thanks so much for taking the time to visit me today -- have a great day! Happy Tuesday! 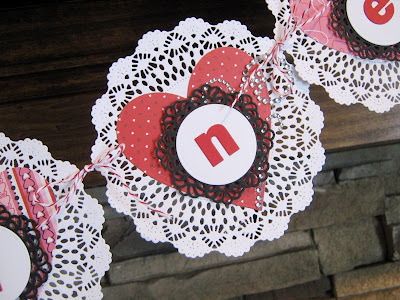 Today I have some Valentine's Day decor to share with you. You might remember the Thankful Banner I made for my mantel at Thanksgiving. I liked it so much, I made another banner to help dress up the mantel for Valentine's Day. It reads, "be mine". 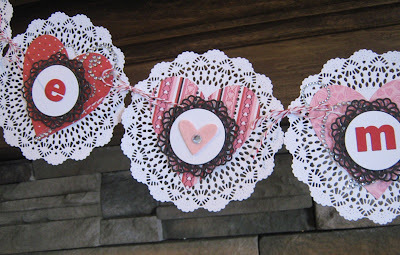 The holes in the doilys were perfect for tying them together with twine. I added some rhinestone flourishes behind a few of the letters. The heart between the words was cut from felt and topped with a rhinestone. Patterned paper is from Bo Bunny Crush 6x6 pad. Cardstock is Sweet Tooth, Black Licorice, and Wild Cherry. Hello there! Happy Sunday to you! I've been hiding in my craft area to avoid all the pre-Super Bowl talk I hear coming from the TV, and it gave me a chance to make a card for this week's MFT WSC Sketch. I went pretty Clean and Simple with this one, although I did add some fun details with Die-namics. I pulled out an old MFT set, Clearly Sentimental About Emerson, because this sentiment goes so perfectly with all the stars. Paper is from Lime Twist: Fly a Kite 6x6 pad by My Mind's Eye. The sentiment is stamped in Black Licorice Premium Dye Ink on the Fishtail Flag. Cardstock is Kraft, Whip Cream, Wild Cherry, Sour Apple, Orange Fizz, and Blu Raspberry. I embellished with three Die-namics: Star Border, Stacking Stars, and Fancy Flourish. Happy Saturday! The snow is falling outstide, so it is a perfect day to stay inside and do a little stamping. I made this card for the MFT Guest Designer Contest. 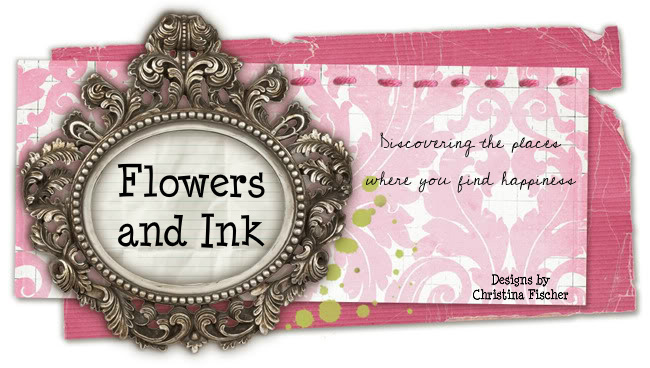 All the contest details can be found HERE on the MFT Forum at Splitcoaststampers. The card base is Kraft Cardstock, and papers are from the Lost and Found Two: Rosy 6x6 pad by My Mind's Eye. For the main image, I used the new Doodle Garden Sweet Friend. She is sweet, isn't she? I stamped the image on X-press It Blending Cardstock and colored with Copics. Her dress is paper pieced. 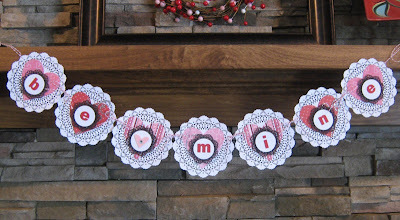 I added a felt heart (from Die-namics Notched Tag) to her headband. It was just the perfect size! She is popped up on the circle with dimensional boosters. Additional MFT supplies used: Die-namics By the Letters, Die-namics Simply Scallops Small, and a Kraft Button. I finished the card with some machine stitching, a rounded corner, and twine. That's all for now! Thanks so much for stopping by today!